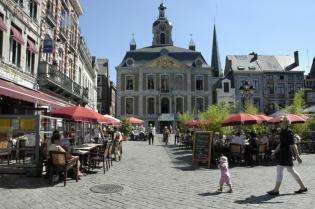 Two beautiful routes along the Meuse River and the Vennbahn Rail Trail are the basis for a “Tour d’Europe” starting and finishing in Maastricht, the town where the foundations were laid for the European Union with the signing of the Maastricht Treaty in 1992. 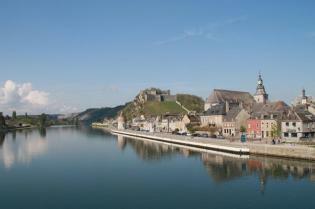 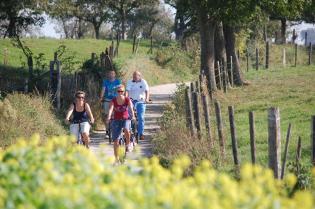 It is a promise of four days of highly enjoyable cycling through the valley of the River Meuse, past castles, forts and pretty villages, surrounded by breath-taking natural beauty. 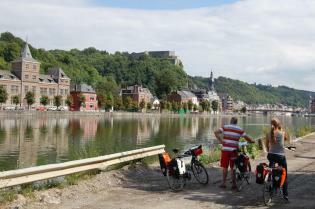 On our bicycle holiday you will cycle the entire International Meuse Route, staying the night in Liège and Namur in Belgium and in the picturesque village of Haybes and Charleville-Mézières in France.